I wanted to read another of Strobel’s book as I thoroughly enjoyed his “God’s Outrageous Claims ” book and I wanted to explore a bit more of the evidence and entry level apologetic views to help defend Christianity. While the book is really just an introduction to some of these issues, its also a personal account of a portion of the author’s journey in finding faith in Jesus himself. That is an important aspect of all of Strobel’s books and is one of the main reasons I think he has had so many best sellers. He presents his case and at the same time, attaches his own feelings and impact of what he’s learned along the way. Exactly what I like to do in reviewing a book myself. This book covers 15 questions that Strobel asks an expert on each subject to explore in detail. Were Jesus’ Biographies Reliably Preserved for Us? Does Archaeology Confirm or Contradict Jesus’ Biographies? Did Jesus Fulfill the Attributes of God? Did Jesus – And Jesus Along – Math the Identity of the Messiah? Was Jesus’ Death a Sham and His Resurrection a Hoax? Was Jesus’ Body Really Absent from His Tomb? Are There Any Supporting Facts That Point to the Resurrections? What Does the Evidence Establish – And What Does It Mean Today? I found the information revealed to be quite informative and for me, largely new as I’ve never researched these areas directly. There is plenty of evidence presented on each topic and Strobel uses each interview to explore a number of angles from the skeptics perspective to ensure he looks for answers to the most common questions that relate to every interview topic. The experts range greatly but are primarily scholars and authors of various books with published content on each relevant topic. They have years of research and study on each area and are well suited to answer Strobel’s questions. The format of the book is written as a narrative description of these interviews with each expert. I found this part a bit of a stumble as it doesn’t carry much between each topic. There is some reference between the chapters and evidence presented that builds on previous findings but they are large separate individual chapters. This made the book a bit harder for me to really get since aside from the particle topic in each chapter there wasn’t any kind of story and building component to the book. This still worked very well and definitely makes a focus on purpose to address each of the questions, it just took more to keep me interested. I think some of that was due to the historical nature, as I have little to no interest in history and find it quite boring to read about so I got more than my share in one or two chapters. There isn’t too much of this historical componetn though so it didn’t hold me back from continuing through the book and exploring each of the questions with great interest. Overall, I definitely enjoyed this book and I certainly recommend it to anyone wanting to examine any of these questions that are covered and also for a beginning some study of apologetics or simply general interest or skepticism in Christ. I’m not sure the book on its own will drive too many people to believing in Christ but it can certainly give more evidence and reason to believe. I wouldn’t say its inpiring or motivational, however, it is very informative and great opportunity to learn. I think there could have been a bit more examination of the personal impact on each of the experts lives in study Christ. That leaves a bigger mark on my heart when there is a direct experiencial story around each topic, not just the facts. I’m happy to know more about these areas now and to match them to my own experience in knowing Christ which just helps to strengthen that belief. I hope you may find the same in reading it! There’s Always Skeptics, Aren’t There? I respect your candor about Strobel’s methods, but I still find them questionable. There is a saying in the newspaper business: “If your mother tells you she loves you, check it out.” Now I would be the last one to assert that reporters keep their biases out of their stories. Nevertheless, there are standards and practices in journalism that are intended to maximize the possibility that all the facts come out and all sides of a story get reported. By the same token, there are practices and procedures in a court of law that are designed to make sure that a jury gets all the facts before it renders it decision. Both sides get to call witnesses and both sides get to question the other’s witnesses. Once again, not perfect, but designed to maximize the possibility that both sides are fairly heard. My objection to Strobel’s method is that he creates the impression that his readers are getting both sides of the story by repeatedly invoking his expertise as an investigative journalist and drawing analogies to legal proceedings. You may not have gotten that impression, but based on what I have seen in the blogosphere, most of his fans seem to. thanks for your view. While you are right that there is more to present, it can’t fit in one book, any book. To be honest, I can’t understand why so many people use this argument (your last paragraph) against Strobel’s method. You only have to read the first 4 words to know its one side of the story, “A Case FOR Christ”. That’s all I needed! I use the argument because I think many people fail to get the impression that you did. I commented on a post the other day where the blogger thought that Strobel was still an atheist at the time he was conducting the interviews for The Case for Christ. I wish people would real all books with a bit more perspective about the intent of the book. They are never everything that a first timer to the topic thinks they are. Anyway, for those wanting to explore the apologetic side of things, it covers a great introduction to these questions from the Christian perspective. If that’s what you are looking for, have a read. Its hard to ignore the millions of books that Strobel has sold and its also hard to ignore the thousands of people Strobel has helped lead to a Christian life with amazing testimonies of great transformation. Now THIS is undeniable. Strobel tries to do, I believe, is play the devil’s advocate. He tries to ask all the most pertainant and important questions liberals, skeptics, atheists, and enemies of the faith ask either honestly or militantly or sarcastically. In this tiny volume, and in this format, he can only ask a few questions. 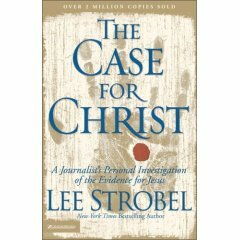 True, Strobel may not be the World’s greatest enemy of Chrisitanity, nor the world’s greatest aplolgist… but we are told a hundred times he is merely a reporter seeking an answer. I think it is absolutely PERFECT that he did not interview liberals and so on. For two reasons. First, that garbage is available by the ton. What is rare is the answers to their nonsense… and sense. Second, debating liberals never seems to lead anywhere because they seem unswayed by facts or evidence. When they loose the argument they either change the subject or confuse the issue or begin character assassinations. They never seem to get on their knees and say, “Jesus, My LORD and my God!” Had Stobel included more of the poison he is denigrated for omitting it would have defeated his purpose, and his purpose was to open the gates of heaven to the confused and uninformed. I do find that he did a masterful job at organizing the book in the way he did, but the complexity of the organization sometimes makes summarizing the thing difficult… or even coming away with a unified feeel for it. In other words, it its orgaization is both simple and complex.